Picasso, Monet, Freud and Bacon can all be found on London's 2018 art programme along with the more contemporary Anthea Hamilton, Lee Bul and Andreas Gursky. Read on to discover LondonTown's pick of the best art exhibitions taking place this year. This major retrospective launches the gallery's 50th anniversary year. 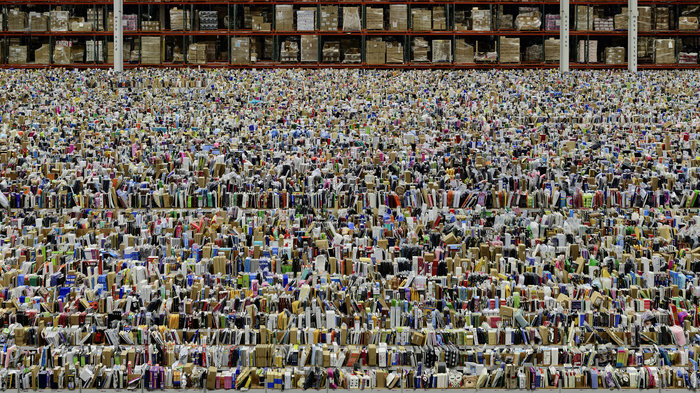 Kicking off the gallery's 50th anniversary year, 2018 sees the Hayward Gallery host the first major retrospective in the UK of the work of Andreas Gursky. Considered one of the most significant photographers of our time, the German artist is known for pushing the boundaries with his large-scale pictures that portray scenes of the global economy and contemporary life. The exhibition will include some of Gursky's best-known works including Paris, Montparnasse, an iconic photo of a seemingly endless block of flats; Rhine II, a digitally tweaked vision of the river as a contemporary minimalist symbol; and May Day IV, which depicts hundreds of revellers at Germany's Mayday techno music festival. A rare chance to discover the art acquired and commissioned by King Charles I. During his reign, from 1625 until his execution in 1649, King Charles I acquired and commissioned masterpieces from the fifteenth to the seventeenth century. In January 2018, the Royal Academy of Arts, in partnership with Royal Collection Trust, presents Charles I: King and Collector, a landmark exhibition that reunites the most exceptional art collection. It's a chance to discover the royal art collection which includes sculptures, Baroque paintings and miniature and monumental tapestries, including works by Van Dyck, Rubens, Holbein, Titian and Mantegna now in collections such as the Musee du Louvre and the Museo Nacional del Prado. The art fair returns for 2018 with a packed programme. Augustus John, creator of unforgettable nonsense Edward Lear, and 'The Art of Gardens' are just three topics in a packed talks programme at the 2018 Works on Paper fair where drawings and prints, photographs and posters are presented for sale. Pictures drawn by hand, in ink, pencil, crayon, chalk, pastel, gouache or charcoal can be seen at the fair which returns to the Royal Geographical Society this year. Ranging in price from the affordable (at £500 and less) to the majority on offer from £750 to £7,500, and plenty above £10,000, works include early, modern and contemporary art as well as museum quality pieces. Highlights this year include a watercolour by Edward Seago, a 1740s etching of The Library, Venice, by Canaletto and a 1960s poster by Mark von Arenberg. The gallery reunites the only two known self-portraits by Murillo for the first time in 300 years. Reuniting the only two known self-portraits by Murillo for the first time in over three hundred years, this free National Gallery exhibition marks the 400th anniversary of the artist's birth. One of the most celebrated painters of the Spanish Golden Age, Bartolome Esteban Murillo is well known for his religious paintings and depictions of street children. He was also an ingenious portraitist though this has been less frequently studied. 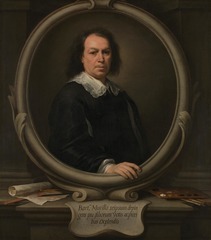 The first 'Self-Portrait' (from about 1650-55) in the Frick Collection shows Murillo in his thirties while the second was painted roughly twenty years later. The two portraits are hung alongside ten other works, some by Murillo and others reproductions of the two paintings, showing their fame in Europe. A display of over 100 pieces by some of the most celebrated modern British artists. A large-scale painting by Francis Bacon of his friend and artistic rival Lucian Freud is part of Tate Britain's landmark exhibition, All Too Human, which begins in February 2018. The work, not exhibited for over half a century, is one of 100 pieces by some of the most celebrated modern British artists. With a focus on Freud and Bacon, the exhibition reveals how their art captures personal and immediate experiences and events. Featuring major works by Walter Sickert, Stanley Spencer, Frank Auerbach, Paula Rego and many others, this exhibition makes poignant connections across generations of artists and tells the story of figurative painting in the 20th century. A month-by-month journey through 1932 - Picasso's 'year of wonders'. Described by the gallery as one of the most significant shows it has ever staged, Tate Modern hosts Picasso 1932 - Love, Fame, Tragedy in 2017. 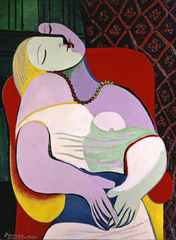 The landmark exhibition takes visitors on a month-by-month journey through 1932 - known as Picasso's 'year of wonders' - through a display if 100 paintings, sculptures and works on paper, including the famous Le Reve (The Dream), which has never before been shown in the UK. From confident colour-saturated portraits to surrealist drawings, visitors will be able to see the works that cemented Picasso as the most influential artist of the early 20th century. An exploration of the artist's personal items and passion for story-telling. Five decades of performance art by influential American artist Joan Jonas go on display in an immersive exhibition taking over Level 2 of Tate Modern's Blavatnik Building and in The Tanks. Originally trained as a sculptor, Jonas began experimenting with performance art, video and props after meeting choreographers Trisha Brown and Yvonne Rainer in the 1960s. The exhibition explores her personal items and her passion for story-telling, from the retelling of a Brothers Grimm fairytale to references to contemporary political events. Jonas is also the subject of this year's BMW Tate Live Exhibition, a ten day programme of live performance art in the Tanks. The Turner Prize-shortlisted artist undertakes this year's commission. Shortlisted for the Turner Prize in 2016, Anthea Hamilton is the next artist to undertake the Tate Britain Commission. Renowned for her bold, often humorous works, she will create a new artwork combining sculpture and performance in response to Tate Britain's grand Duveen Galleries. Known for her provocative and playful works, she has used subjects as diverse as art nouveau design to 1970s disco and her Turner Prize nominated exhibition Lichen! Libido! Chastity! - "One of the most bizarre art works in New York" (The New Yorker) - put an eighteen-foot-tall sculpture of a man's buttocks on a brick wall. A look at how buildings played an important and unexpected role in Monet's work. Monet maybe best known for his paintings of lilies - impressionistic images of the floating flowers immediately spring to mind - but buildings played important and unexpected roles in his pictures. With Monet & Architecture the National Gallery presents the great French master in a new light. The first exhibition devoted to Monet's relationship with architecture, it shows over 70 works of the built environment from villages to modern cities - including the Houses of Parliament, Waterloo and Charing Cross bridges in London. Bridges and buildings of suburban Paris are displayed along with strikingly modern paintings of the Gare Saint-Lazare, ending with his monumental series of Rouen Cathedral. The RA's two buildings, Burlington House on Piccadilly and Burlington Garden, are linked for the first time. On 19th May 2018 the Royal Academy of Arts opens the doors to new spaces for displays, a 250-seat lecture hall, immersive architecture installations, projects by students from the RA art school and one two-acre campus, unified for the first time. Celebrating its 250th birthday in style, the RA's two buildings, Burlington House on Piccadilly and Burlington Garden, will be linked together for the first time. Inaugurating the new galleries will be an exhibition on the pioneering landscape work of Tacita Dean. You can also visit two free exhibitions on 'The Making of an Artist', one showinghighlights from the gallery's collection, the other showing plaster casts from the early years of the RA Schools in The Vaults. From September 2018, Bob and Roberta Smith will explore the subject of gender in the history of the RA in The Ronald and Rita McAulay Gallery. London's first retrospective of the South Korean artist. The Southbank Centre's Hayward Gallery hosts a mid-career survey of the work of acclaimed South Korean artist Lee Bul. The first retrospective of the artist in London, Wayward Wander explores the artist's extensive investigation into the body and its relationship to architectural space. Lee Bul has explored questions of intimacy, gender, technology and class during South Korea's transition from military dictatorship to democracy, drawing on science fiction, bioengineering and visionary architecture to look at these topics through a focus on the body. The exhibition will showcase her performance, drawing, painting and large-scale immersive installations. This moving exhibition looks at the physical and psychological scars left on Europe after WWI. A century since the end of WWI Tate Britain takes a look at how artists responded to the physical and psychological scars left on Europe. A fascinating and moving exhibition, Aftermath: Art in the Wake of World War One features works by George Grosz, Otto Dix, Picasso, Winifred Knights, Fernand Leger and CRW Nevinson. It shows the different ways in which artists reacted to memories of war. 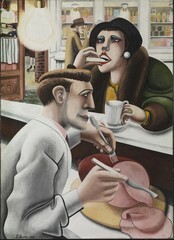 George Grosz and Otto Dix exposed the unequal treatment of disabled veterans in post-war society, we saw the birth of new art forms in dada and surrealism, Pablo Picasso and Winifred Knights returned to tradition and classicism while others imagined future cities as society began to rebuild itself. Discover one of America's leading painters of the mid-19th century. The National Gallery stages the first exhibition to establish British-born Thomas Cole, one of America's leading painters of the mid-19th century, as a major global figure in 19th-century landscape art. Displaying Cole's paintings alongside those of his contemporaries, including Turner and Constable, among others, we get a better understanding of how his exposure to European painting informed his artistic identity. Paintings on display include works resulting from Cole's trips to England and Italy between 1829 and 1833, the monumental painting cycle 'The Course of Empire' and 'The Oxbow', a founding masterpiece of American landscape painting, never previously shown in the UK. This exhibition in the Ground Floor Galleries runs concurrently with Ed Ruscha: Course of Empire in Room 1. Grayson Perry coordinates the exhibition in its 250th year. The Royal Academy's annual Summer Exhibition celebrates its 250th anniversary in 2018, and, to mark the occasion, the exhibition will be coordinated by Grayson Perry. Anyone can submit to the exhibition which gives it a wonderful element of surprise. Over 12,000 pieces are sifted through from relative unknowns to famous artists and members of the RA. The fun part for visitors is choosing a favourite and, with the majority of works on sale at varying price ranges, you can even buy one if you really fall in love with it. First held in 1769, the Royal Academy Summer Exhibition is the largest regular contemporary art exhibition in the world. It's an impressive show that gives an excellent cross-section of contemporary art every summer and each year a prominent sculpture greets visitors to the exhibition as they walk through the Royal Academy's great courtyard. The story behind the world's longest running annual display of contemporary art. Held every year since 1769, the Royal Academy's Summer Exhibition is the world's longest running annual display of contemporary art. Staged to coincide with the 250th Summer Exhibition, The Great Spectacle tells the story of the annual show by featuring highlights from the past 250 years, on display in the RA's The John Madejski Fine Rooms. The exhibition includes works by the Royal Academy's first president, Joshua Reynolds, rival Thomas Gainsborough and fellow artist John Constable. Everyone from J.M.W. Turner to John Singer Sargent, Peter Blake to Zaha Hadid is included in the review. Over 40 works by contemporary artists show the continuing appeal of the King of Pop. Almost a decade after his death, and coinciding with what would have been his 60th birthday, on 29th August 2018, Michael Jackson: On the Wall sees the National Portrait Gallery stage a major exhibition on the man in the mirror. Over 40 works by an extraordinary array of leading contemporary artists from Andy Warhol to Grayson Perry are included in the display. A 1998 photograph by David LaChapelle and the King of Pop on horseback in Kehinde Wiley's Equestrian Portrait of King Philip II are both in the exhibition which breaks new ground for the gallery - both in the subject matter and in the artists who have been invited to participate. The festival is curated by the Hayward Gallery for the first time. A night of free art, performance and music, Art Night partners with the Hayward Gallery for the first time. The festival will be curated by the Southbank gallery, to coincide with the its 50th anniversary in July 2018. Promising its most ambitious art trail to date, follow the route along the Thames from Southbank Centre through Vauxhall and Nine Elms to Battersea. Art Night will also feature commissions and artists' projects in iconic and off-the-beaten-track venues for just one night. This unique installation brings together thousands of images of clocks. Sees Christian Marclay's unique installation, The Clock, at Tate Modern this autumn. Twenty-four hours long, the mesmerising piece is a montage of thousands of film and televisions images of clocks, edited together to show the actual time. Several years of rigorous and painstaking research and production led to the piece, with the final result showcasing a vast range of narratives, settings and moods with the space of a few minutes. Visitors will be able to see the installation for free during the day while once a month the gallery will remain open throughout the night to allow the full 24-hour installation to be shown. 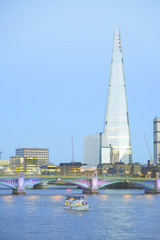 The Shard architect is the subject of the first exhibition in the RA's Architecture Studio. He has designed some of the most striking buildings in our modern cities, from the Pompidou Centre in Paris to The Shard in London and the new Whitney Museum of American Art in New York. In September 2018, Renzo Piano is the subject of the first annual architecture exhibition in theRoyal Academy of Arts' newly refurbished galleries in Burlington Gardens. The first survey exhibition on the 'starchitect' in London for almost 30 years, the display will document his early days as a young architect working with Richard Rogers and move on to more recent projects. See his landmark buildings through rarely displayed drawings, models and full-scale maquettes in an exhibition which reveals the process behind his best-known creations. The four shortlisted works are, for the first time, all film and highly political. The Tate's Turner Prize, set up in 1984, has been courting controversy ever since and in 2018 the works by the four shortlisted artists are, for the first time, all film. From one central room, with sofas and art books, are four black boxes, one for each artist, where the films are screened. Be warned: it will take you over three hours to see the two films by Naeem Mohaiemen. Our reviewer only managed to see half of one, Two Meetings and a Funeral, a fascinating documentary on the Non-Aligned Movement in the 1970s. Forensic Architecture presents evidence to challenge state institutions. In this case, the Israeli government attempting to clear Bedouin community in the Negev region with tragic consequences. Charlotte Prodger's film, shot on her iPhone, is an intimate portrait - you can feel the camera moving with her breath. Three films by Luke Willis Thompson raise issues of police brutality and violence. Reliable for its ability to divide opinions, this year's Turner Prize got just two stars from The Times while Adrian Searle, writing in The Guardian, wrote: "no painting or sculpture, but the best lineup for years": five stars. From cheap budget places to stay to luxury 5 star suites see our special offers for hotels, including The Caesar Hotel London from 76% off.